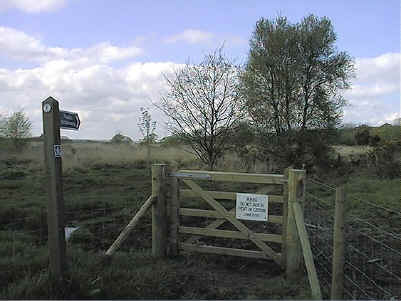 Gittisham Common consists of approximately 300 acres of private land belonging to Combe Estate of Gittisham which is near Honiton in East Devon. The Common was fenced in during 1998 for the enclosure of cattle. This was part of the management plan to improve the heathland through grazing. About 40 cattle graze from late spring to early autumn. Traditional Devon cattle are used. This breed is ideally suited to living off rough pasture. They also eat young tree seedlings and bramble which would otherwise lead to the deterioration of the heathland. As heather is less palatable the cattle leave it largely untouched. There are a number of Bronze Age barrows on Gittisham Common.